Home » Body » Signs of Stress » Is Sleeping Stress Relief? Sleeping can be a time that the body and mind rejuvenates itself, or it can be an escape from the stress in your life. 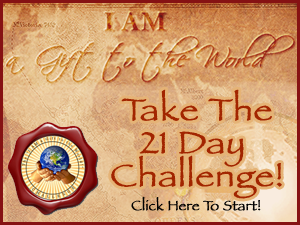 Notice, do you feel wide awake and energized for the day when you wake up ? or do you still feel tired even after nine to ten hours of sleep, then sleeping is not stress relief. It’s a sign of something else. It could be a form of depression or an illness of some sort or a sleep disorder. I recommend you see a doctor for a check up and talk about your sleeping. Doctors say an adult need about seven to eight hours of sleep per night, as an average. Are you getting enough sleep? Do you have trouble falling asleep? To help with falling asleep and stress relief: I recommend taking slow, deep breaths, watching the breath come in and out, or do some slow yoga poses before going to bed, or try progressive relaxation techniques. The progressive relaxation technique involves taking some slow, deep deep breaths at the beginning and then start with your feet. You tighten your feet and then relax and release and tensions or tightness.and moving up your body to different muscle groups. It’s important not to tighten anywhere that you feel a pain. This is a painless technique. Why is it important to tighten the muscles, it’s so your muscles can remember how it feels to relax. You may have been holding tension and tightness so much that they forget how to let go, so this helps that process. This also helps you fall asleep because this gives your mind something to focus on and and helps your muscles to relax. You fall asleep easier when your muscles are relaxed. You can do this lying down in bed or sitting up in a chair. Start with your feet, you tighten and relax. Then you move up to your calves, tighten, relax. Then your thighs, tighten, relax. Then your buttocks, stomach, and lower back, tighten, relax. Moving up to your upper chest and back, tighten relax. Nextyour hands and fingers put in a fist and tighten, relax, and open. Up to your forearms, tighten, relax. Up to your upper arms, tighten, relax. Now your neck and shoulders. Be careful here. You don’t want to create any pain, tighten, relax. Then your jaw,tighten and release. Then your whole face. You scrunch up tight and then relax and let it become soft. You then you go back down the body again to your feet, tightening all the different muscle groups. I like to finish by scanning my body for any tightness I may still have. Imagine breathing into those places for deeper relaxation. Or you can continue tightening and relaxing up and down the body until you fall asleep. I also recommend listening to soft, soothing music as you prepare bed and sleep. I love the Echoes of the Heart CD created by my good friends, Robert and Terri TallTree. 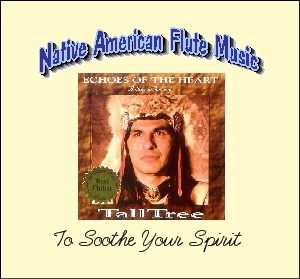 This is Native American Flute Music that brings balance and harmony as you listen to it. I hope you enjoy it as much as I have. The information on this website is for educational purposes only. It does not replace information or recommendations from your own physician or other health care provider. This site does not advocate medical or other health-related self-care, and encourages you to obtain advice from your own personal physician or other health care provider. This web site is not intended to replace medical, financial, legal, or any other professional advice. Please use your own good judgment and consult with your own professionals before applying any ideas found within this website.